©2013 D.J. 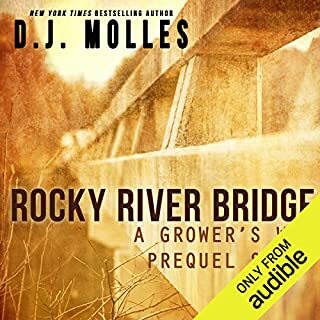 Molles (P)2013 Audible, Inc. I can't get enough of this story! 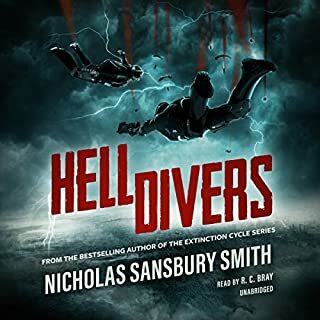 Awesome fast paced story that never gets boring. Constantly surprised by twists and turns. Performance is really good, handles female voices well and has different accents for everyone making it easy to follow who's talking. Storyline is quite believable without being too predicable. Just love it! after the shocking events at the end of book 3, i HAD to know what happened next! 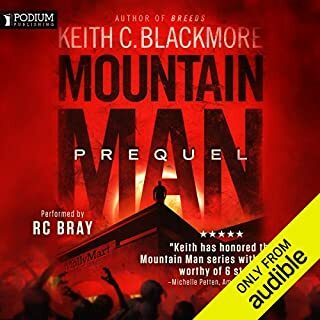 simply put, book 4 is excellent. dj molles takes a turn in the storytelling. 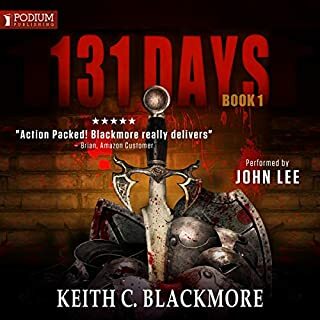 books 1-3 focused mostly on lee- what he was going through. 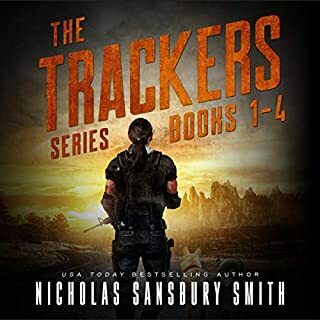 book 4 cycles back and forth between the 4 major plot lines: lee's disappearance, camp ryder, harper's journey north to eden, and laroche's journey east to the roanoke river. don't worry! it is not confusing. actually, i found the transitions addicting! it was really hard to break away from the story. if you listen while commuting, you'll end up taking the long way home. LOL me? i write code for a living (c#, t-sql, linq) and telework 3 days a week so i had a few late nights! the plot definitely keeps you engaged throughout the entire 18 hours. the icing on the cake is the mental journey the characters go through. 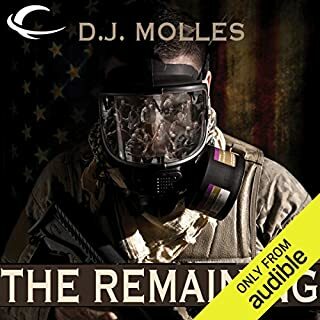 dj molles does a superb job of depicting the hell each character is going through. some are bent, some are broken, some are snapped, and some are purified but in unexpected ways. book 4 nicely wraps up some of the plot lines while others are extended and interesting ones added. book 4 is definitely a roller coaster ride. it's thrilling, and the payoff is rewarding. this series has the best aspects of all your favorite zombie novels. 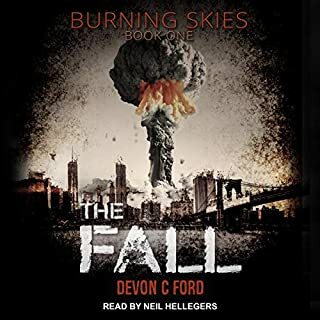 this is the best end of the world / zombie series i have listened to so far. I want book 5 ! 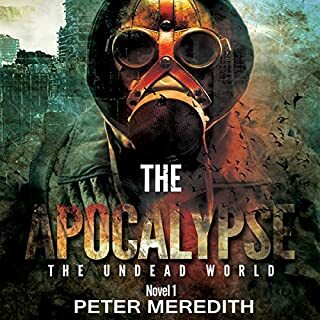 This is definitely my favorite Zombie Apocalypse series, and this, the fourth book does not disappoint. Ending with a fantastic twist I am very much looking forward to book 5. Need to mention that for this book and the characters in it the narration is fantastic, great match. “Fractured”, the next installment in the remaining series takes place over just a few days despite being longer than many of the other books before it. The story picks up where 'Refugees' ends but only moves the story along incrementally leaving another big cliffhanger for the reader to chew on. 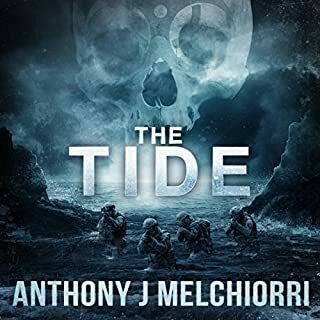 Fast paced, gritty and gory this book will leave you wanting more of the series but make sure you read the others first to make sure you’re up on the story! As always Mr. Rummel does a great job bringing the story to life. Dead on zombie apocalypse story! Molles is one of the best writers in the apocalypse/zombie genre. 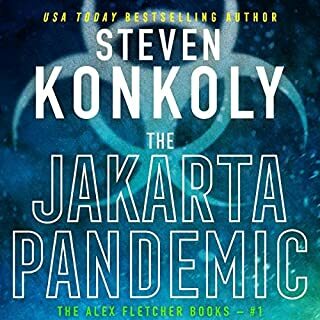 Read this series! The story is really good. I like the whole progression on the infected and the different types. I believe that such an infection would have varying results, as well. The story really builds the characters in a realistic way. The people change and have internal conflicts that I'm sure we would all have. The narrator is awesome. I found myself searching for more stories he narrates. I just wish A. American's "Survivalist" stories were narrated by him. I ended up listening to the entire series. I normally only listen in my car on long drives for work. I listened to these every chance I got. Great listen. You should buy these. What did you love best about The Remaining: Fractured? Lee vs. Hunters. A face-to-face picture of this scene would make an awesome background. 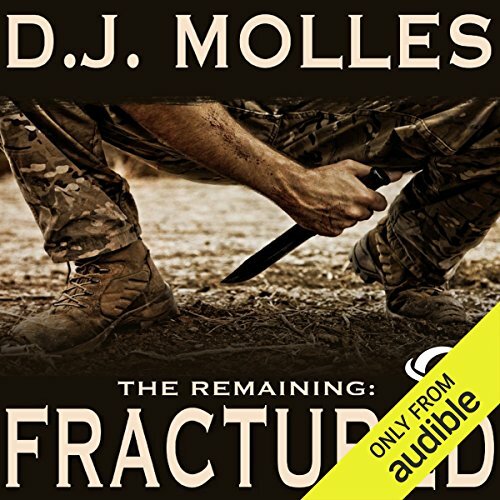 Fractured is the fourth book of the grand-slam series by DJ Molles, "The Remaining". I believe this series is by far the best post-apocalyptic series, dealing with humans infected with FURY. FURY turns humans into a violent blood-mongering being. In contrast to zombies, these monsters aren't dead, and they retain their primitive, animal behavior. Infected humans slowly evolve and become an isotope of humanity, only stronger, faster, cunning, and apparently, more adept to survive than uninfected humans. This posses a threat to survivors. Some of the infected have evolved to become hunters, a much more aggressive version of human ancestors, cavemen if you will. 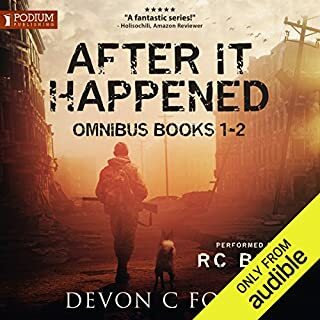 Up till now another fact sets this series apart from other post-apocalyptic stories involving infected humans--the infected actually reproduce. They aren't the concoction of the devil, or some evil awoken by dark priests; no, these are infected mammals that gained superiority to survive the perils of the world. As animals, these infected humans actually reproduce. This impedes survivors to merely "live out the disease" as the dead dry out. No, these infected humans are making of humanity a different superior species. In the fourth book, Captain Lee Harden manages to regain contact with several of the survivors from Camp Rider. Sadly, the camp is taken by Jerry and his minions, destroying what little ground the group had gained with Lee. Much bigger fish are being fried by the recon groups of LaRouche and Harper, who soon learn that Professor Jacob was right about his suspicions. The infected are in fact migrating. In the end, we are introduced to new characters who have become important to the storyline. Captain Abe and another one of Lee's comrades decide to prevent the catastrophic linking of Lee's GPS to the grid created by the now President of the remaining pieces of the USA. This leaves us agape and expecting what will be a fantastic fifth (final?) book. 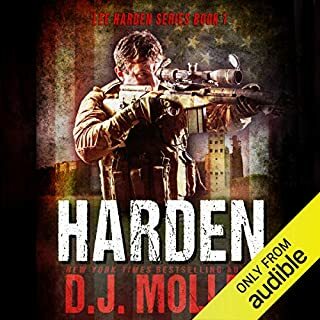 As always, Molles delivers an impressive story, with vivid, real characters. 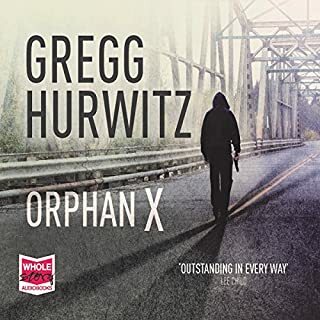 Chris Rummel's narration helps listeners to connect both emotionally and empathetically with each of the characters as they evolve, change, and become a harder, ruthless version of their former self. This was one of the best series I have read. This is a series you can not stop listening to. Each book left me wanting more and more. I can not wait for book 5. What made the experience of listening to The Remaining: Fractured the most enjoyable? 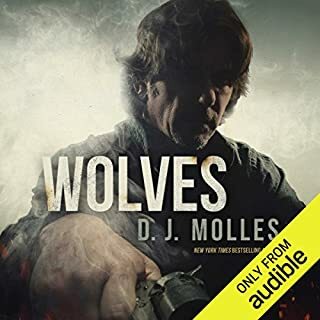 Molles tells a great story and does not overly dramatize the post-apocalyptic setting with Hollywood scenes and one-liner moments. His descriptions paint a picture, his characters have personalities, and his story is riveting. 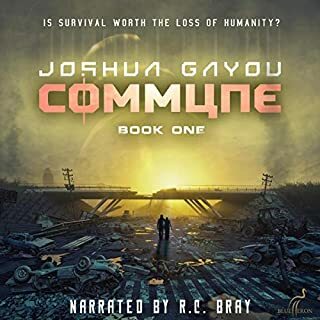 I listen to many audiobooks, and this series makes me sorry that the drive is over and psyched for when I next get to listen. What other book might you compare The Remaining: Fractured to and why? 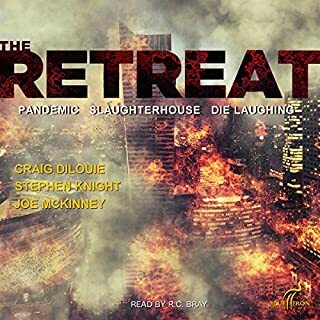 The Remaining series sits at the head of the table of the elite zombie/post apocalyptic novels with Bourne's DBDA, Brooks' WWZ, Recht's Morningstar Strain, and Dilouie's Tooth and Nail (and his Infection series). The aforementioned are all good in their own right, and The Remaining deserves its spot when discussing them. I actually found myself prioritizing things that I needed to get done during the day better while reading this series. Something about immersing oneself into the world of necessity makes you think about what you need to handle for the day and tick things off like a checklist. Looking forward to the fifth book in the series and other entries by Molles. I also will be looking for other stories that Rummel narrates. I hope that both of these artist find success because I have immensely enjoyed the sampling of their work that I have heard. Loved this series of book, just feels very fresh and very real. 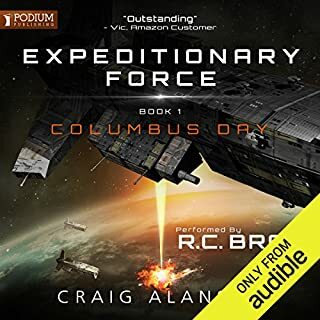 The narration is first class and I was hooked from day one. Cannot wait for book five next year. 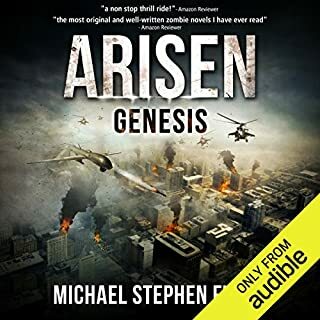 I would, and have recommended this book to several of my friends, it is an interesting look at one of my favorite genres. I love the idea of the infection and the idea of Project Hometown. The is must listen to see what happens next stuff. Usually listen in the car, now wish journey was longer!